When you have a lot of information to communicate, booklets and brochures are a great choice. Minimum order just 25 brochures. To create Saddle Stitched booklets, the pages are nested and stitched together with wire, forming ‘staples’ through the folded spine. This option is perfect for an affordable booklet, such as company magazines and newsletters. Add a cover lamination, such as Soft Touch, for increased durability and a premium finish. 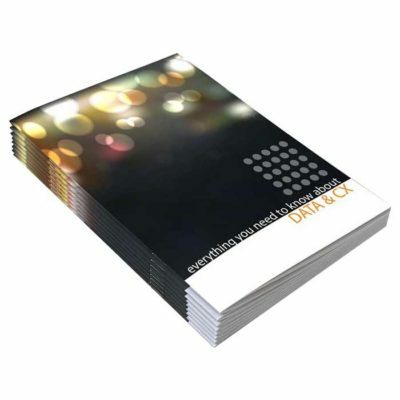 Whatever your requirements, our range of Saddle Stitched booklets printing is sure to deliver. For jobs with a larger number of pages or for a more permanent binding contact us for our perfect bound prices. We aim to produce order quantities of 500 and below using state of the art digital facilities, while larger quantities are produced using modern litho presses.